Your teeth can't talk, but they can send strong signals that they need help. Ignoring the signs that you may need a root canal may increase your risk of a dental abscess, a painful bacterial infection. Our Folsom and Sacramento, CA, dentists, Drs. Julianne and Anthony Digiornio, share a few signs that may indicate that you need a root canal. Pain is a clear sign that your tooth is in trouble. A visit to our Sacramento or Folsom offices will determine if the pain is caused by a cavity, or if you need a root canal. When you need a root canal, pain can be constant or may come and go. You may notice that the pain gets worse when press on the tooth or eat or drink hot or cold foods and drinks. You may need a root canal if your previously white tooth has turned brown or gray suddenly. Swelling and pain in the gums surrounding your tooth may be a sign that you need a root canal. Symptoms of an abscess include fever, swollen lymph glands, a pimple on your gum, facial swelling and severe pain. If you notice these symptoms, call us immediately. Abscesses are dental emergencies. The infection in your tooth can spread to other parts of your body via your bloodstream if you don't receive antibiotic treatment. A root canal may be needed if your tooth fractured or was loosened or knocked out. Root canals are performed when tooth pulp becomes inflamed or infected. If you do nothing about the problem, you'll eventually lose your tooth. During a root canal, the pulp is removed from the center of the tooth. The pulp also extends into small canals in the roots of your teeth. As part of the procedure, those canals will be cleaned and shaped. You'll leave your first root canal appointment with a temporary filling and return in just about a week to receive a permanent filling. 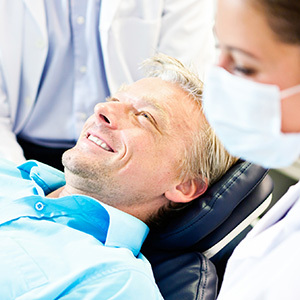 During the procedure, we'll use a local anesthetic to ensure that you don't feel any pain. After your root canal, your tooth may be sensitive for about a week, but any lingering pain should soon disappear. In most cases, you'll need to add a crown to your tooth to protect it. Preserve your smile with root canal therapy. Call Drs. Julianne and Anthony DiGiornio at the Sacramento office at (914) 486-8525 or at the Folsom office at (916) 817-6453 to schedule an appointment.